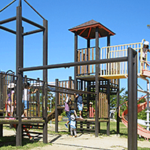 There is colorful activity in Daigo regional park the pool, the playground, the tennis court, the athletic square and the hot spring facilities where you can play at any time of the year around. 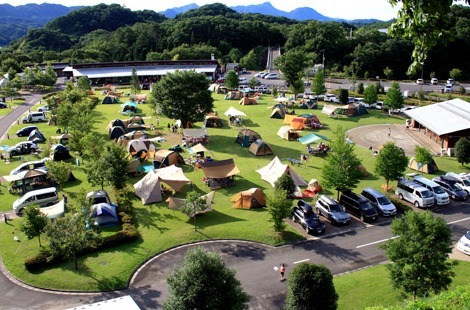 A campsite "Green Vila" is in the facilities of its overwhelming scale. 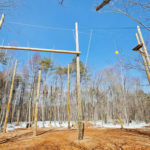 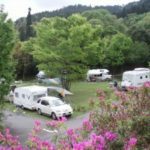 It's popular as a lady and campsites for beginners, and there are various events. 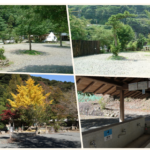 It seems that you can enjoy yourself from a small child to elderly. 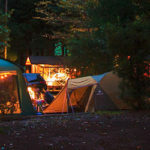 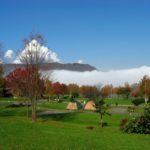 In a camping ground area in Green Vila there are beautiful free site and shade of a tree in a lawn, a comfortable division site,and accommodations in a cabin. 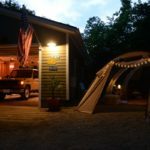 The cabin is beautiful just like a villa. 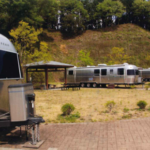 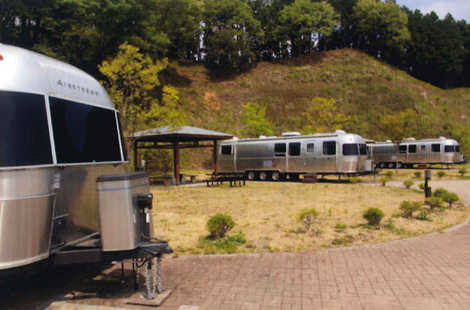 A travel trailer very popular with children is the one as 34 feet of classic model of Air Stream company.